Have you ever wondered how to best implement DFMA® at your company? If so, you're not alone. Many of our customers find it challenging to maintain a consistent level of DFMA® deployment and continuous activity within their respective organizations, and there are commonly a few key reasons why. People initially tasked with DFMA® implementation often change job responsibilities within a company, or leave the company altogether. Critical top-down stakeholder commitment to "doing DFMA®" can be lacking. Or, a conflicting project simply comes along that requires re-allocation of time and resources, and the DFMA® effort loses momentum. It can be very frustrating, and I'm often asked the question "What can we do to keep DFMA® activity at the forefront of product development?" One of the best ways to familiarize your team members (both old and new) with DFMA® is to hold an implementation workshop in order to take a fresh look at one or more of your company's products. I recently participated in a particularly successful three day DFMA® implementation workshop at a customer facility in the Midwest. Sample analysis projects were chosen ahead of time, and cross-functional teams were determined by management. Getting participants out of their comfort zones is critical, and having fresh eyes on the chosen sample product led to many great new product simplification and cost reduction opportunities. Teams worked together to come up with categorized, risk-adjusted design iterations using the DFMA® software tools, and detailed report-outs were presented to stakeholders at the workshop's conclusion, helping to make important decisions around business case and product portfolio direction. Almost without exception, tangible, cash-able results are achieved, as was the case with my visit. The identified cost savings easily justified the direct cost of the workshop, as well as all of the staff commitment required. And the participants had fun! It's a great way to positively reinforce cross-functional teamwork. Boothroyd Dewhurst Inc. will host the thirty-second annual International Forum on Design for Manufacture and Assembly (DFMA®) on June 6-7, 2017, at the Crowne Plaza Hotel, Providence-Warwick, RI, USA. The Forum is the foremost conference worldwide on DFMA methodologies and software. The Forum offers insights and solutions to managers, financial decision-makers, design engineers, manufacturing engineers, purchasing personnel, and supply-chain experts interested in benefitting from up-front product development. The Forum will be immediately followed at the same location by a DFMA® Short Course on June 8-9, 2017. The DFMA® Short Course is an application-based training workshop developed for design and manufacturing engineers, cost estimators, commodity managers, and key stakeholders interested in the design & production of high value products. The goal of the DFMA® Short Course is to learn how proper consideration of part manufacturing and assembly early in the product design stage considerably improves the overall economics and efficiency of the value stream. The participant will, through sample application, thoroughly understand product simplification and costing techniques required to make good, data-based product design decisions. Participants will also see how part cost estimates evolve into "should cost" estimates enabling data-based supply chain negotiations. 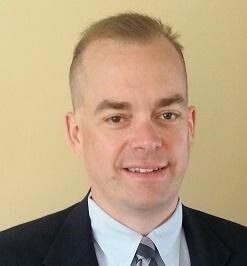 The instructor for the Short Course will be Chris Tsai, BSME, MSMfgE, LSSBB, AVS, Director, DFMA® Implementation Services at Boothroyd Dewhurst, Inc.
Last December BDI presented a webinar on our upcoming new version of DFM Concurrent Costing. This release of DFM Concurrent Costing® has been built from scratch using an updated program language and data structure. It has been designed to provide a seamless transition for users of our existing DFM version 2.4. Full details on all the differences and improvements you can expect from the upgrade were presented during the webinar. 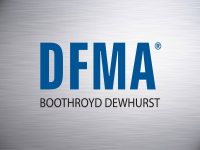 Since 1983 Boothroyd Dewhurst, Inc. has helped hundreds of Fortune 1000 companies, including Dell, John Deere, Boeing and Kohler, use DFMA to cut the costs of their manufactured products and achieve design innovation in their markets.